When you put a video out into the world, you want to see how it’s performing and how people are engaging with it. This kind of info helps you make even better videos in the future. And helping you make and share amazing videos is what we’re all about. That’s why we’re pleased to announce that new Vimeo stats tools are officially here for all members, bursting with all-new insights for you and your videos. Now you can see how people are watching your videos, from what devices, and which parts they’re most engaged with. And we’ve beautified the design a bit too, so it’s easy on the eyes and easy to use. But before we dig into all the new info that’s available, how do you find this magical number- and graph-filled place? Go to vimeo.com/stats to see your analytics dashboard and view stats in aggregate, or simply click on the “See all video stats” link below an individual video — whatever you prefer. We’re still backfilling older video stats for some members, but you can always toggle back to old stats to see all of your data. With the analytics dashboards, all creators can see their stats at a glance, which overviews your loads, plays, finishes, likes, comments, most popular videos, and more. Learn who your viewers are: apply new filters to see where they’re coming from and what devices they’re watching them on — and sort by date, region, embed URL and more. Track performance over time: dig into real-time data for daily, weekly, monthly, and yearly stats. Customize your reports: get custom views to help you find and export the info you need in a snap. Sift through graphs, donut charts, and video heatmaps — and break it all down by location, device, and duration. Vimeo PRO members enjoy the most insights of all, with robust new ways to measure engagement. You can seamlessly find out how people are watching your videos, which parts they like the most, and (gasp!) where they’re dropping off. Some of you may already be familiar with our new stats tools. We’ve been surreptitiously testing them in the wild, and making improvements along the way. If you have more feedback for us, please get in touch. We want to make sure the tools we’re building are meeting our creators needs, and that you’re as ecstatic about our new stats as we are. Once you’ve got some insights, it’s time to use them. We’ve produced lots of free lessons to help you optimize your videos for your audience; learn how to make a masterful trailer, market videos with other videos, successfully embed your videos all over the web, and more! Pair that filmmaking prowess with the power of our new stats tools, and you’ll be rolling in video know-how. p>Ready to make better videos? It all starts with digging into your stats. 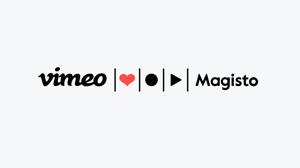 The mysteriously vague cyber-fusion of the humans who make Vimeo tick. Thank you for help. I' m afraid loosing my home. Ich habe nichts Böses getan. This new stats layout is clunky and frustrating to use. It feels a lot like more options, not better options. In order to look at my previous days stats, I need to enter that day in twice (as a start point and a finish point) in order to do what I used to do by clicking one button. I also need to go through 4 steps to try and figure out who is embedding my videos (and I'm not sure I have fully sussed it out yet). Just a couple of many examples, I'm sure I will get used to it, but I miss the ease of the old system and HATE (strong word I know) the new dashboard so far. I can't be alone in this. Thanks for the feedback! The features that we added to our new stats interface were requested frequently over the years by our community. That said, we are passing along all comments regarding our new stats system to our product team, so if you have any additional questions or concerns, let us know! Thank you Amy, I love Vimeo because I know there are real humans back there somewhere. I agree with Mark above and below, I would like to add that not having the current day's stats with an updating 'real time' counter right on my home page is a serious bummer as well. I really wish we could harness the new back end/in depth stats, but have a more concise, useful (perhaps customizable) up front display of relevant stats on our home pages. This is great feedback - I'm making note of this and sending this along to the product team. Thanks for taking the time to comment on our new stats system! My patience is waning, the new stats are still laggy, janky, clunky and a little untrustworthy. When I call up the old stats dashboard via the link in the post below, all is well and good, while the new sata dash is not displaying any views at all on certain days. The new stats just aren't working, I'm confused as to how they are an improvement. Hi again! Sounds like you might be encountering a bug. Can you email us more details regarding the issue you are experiencing, along with screenshots, so someone from our support team can take a closer look? You can reach out to us at support@vimeo.com. I still have the same issues and I haven't heard from customer support in over a month, so frustrating. Hi there! I see that you sent us an email earlier today asking for an update regarding this issue. The support specialist assigned to your case will respond as soon as they can. Thank you for your patience in the meantime! I prefer the old stats. You used to click on a table the videos watched that day would come up Now you have to manually type in a date that doesn't work that great. Yesterday I had one view but the stats don't register it and showing the previous 8 views the day before. The new stats are slower and more time consuming. Is there a way to back to the old stats? I really don't like the constant reminder to upgrade to pro to get a bit more of what already isn't very good. Are you giving up on the love Vimeo? Hi there! Thank you for your feedback. You can switch back to the old stats dashboard by going to vimeo.com/stats?stats=old. When you opt into the old stats interface, you'll see an option to switch back to the new system. Or you can do so by going to vimeo.com/stats?stats=new. Please note that once all data is rolled into the new system, you will no longer be able to switch back to the old version. The URLs provided above will no longer be valid. In regards to the issue you are experiencing where your stats are not registering views, can you email us at support@vimeo.com with more details so we can look into it further? Also, if you have any additional comments or concerns, please let us know and we can pass it along to our product team! Thanks Amy I like some of the features of the new stats like geographical info But say you want to look at different parts like Video or location everytime the date switches back to one month and you have to enter today or worse if you want to see yesterdays you have to manually type in the date from - to and wait for the screen to refresh for every single item. and then you have to keep adding loads if you want to see that to. You end up spending valuable time just trying to find what should be a few minutes of info. Why not use some of the old system where you had a timeline and you could click on a graph dot and the videos come up for that day? You cant even see what city viewed the film Just a country? Hey there Mark! Sorry for any confusion. Plus members can see the region of where a video was played and Vimeo PRO and Business users can see the city. Previously, all users were limited to just the region, so we added city stats for PRO and Business users. In regards to your other feedback, thanks for giving us those details! We'll be sure to pass your comments along. Hi Amy As far as I can see a region here in the UK is the UK and not region like a county Although I do get one county for who views the most from it. Great insights! Such useful ideas to learn. Thanks for sharing this helpful tips. Looking forward to more significant information. Great information. This gives a better idea on how to create videos. I find the old stats far more user friendly as far as seeing with a minimal clicks exactly which videos are getting the plays on a certain day. With the new version I seem to have to click thru multiples drop downs, which still don't show the actual video. And even more frustrating is how the report keeps defaulting back to the 'last month' view. Some combination of the two versions would be great, but for now, I'm sticking with the old stats. Thank you for describing your experience! We're collecting user feedback so I'll be sure to pass this along to our product team. There is one showstopper: the date range and the fact that it defaults back to "last month". A) The old date range was SO easy to use, you just picked 2 points on a visual calendar. "Please note that once all data is rolled into the new system, you will no longer be able to switch back to the old version. The URLs provided above will no longer be valid." What does it mean, when is it going to expire, can you please give more info on this?! I honestly ask your team to KEEP the old statistics page. I think as it is now, we need BOTH versions. Besides the date range selector issue (explained above), the old one had a brilliant "your week at a glance" overview page that gave very clear, very quick insights! It was perfection...! The new one needs clicking everywhere to get the same info. However, the new stat. page also has some great advantages, some new features are brilliant. So if there is no real reason to kill the old stat page, please don't, and let us use both. Hi there! Thank you for the feedback in the comment above. In regards to the question in your second comment, we won't be expiring the old stats link just yet, until we get some bugs sorted out with the new version. If you have any additional comments or concerns, please let us know and I'll be sure to pass it along to our product team! Stats are unpredictable and completely inaccurate. Stats can fluctuate on one video from 1k to 200 views overnight - yes, that's losing views. Videos have been known to also show zero views for periods of weeks. In the end, Vimeo has neglected the analytics portion of their website which, if accurate, would greatly improve their practicability for businesses. Thanks, will use the stats feature to see which videos have the greater engagement. How do I see which videos a certain region are watching? For example I see that China watched 3 videos. How do I know which videos they are? Knowing they watched three videos without knowing which ones is useless because I have hundreds of videos. Furthermore, if I see that Bejing watched 1 video, can I see which video was watched? I’m willing to pay fir these stats. I have about 50 videos on vimeo Pro account. How do I see the week to week activity on just one of the videos? the only week to week totals I can see are for ALL videos. Vimeo stats are almost completely useless, absolutely not a reason to upgrade to Plus. I've been talking to customer service for over a year, and they say they are "in the process of moving to a new system." Plays don't always register, duration is wildly inaccurate, and yes, the system of having to click over and over again is ridiculous just to see your stats from the previous day. At the very least there should be a "Previous 24 hours" button. That's what most of us are logging on to check anyway, and ending up having to do twelve clicks to see it, over and over again, every day.